What are Patriots rivals saying about Deflategate? 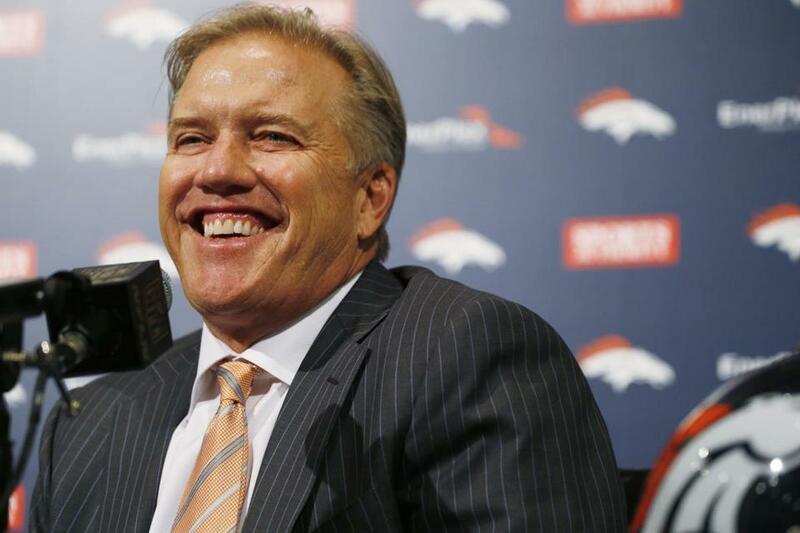 Broncos general manager John Elway fully endorsed the NFL’s sanctions for the Patriots. The NFL has handed down its decision on Deflategate — a four-game suspension for quarterback Tom Brady, and a $1 million fine and forfeiture of two draft picks for the Patriots — and New England’s biggest rivals are also handing down their take on the matter. Here’s a look at the reaction from the Patriots’ AFC East opponents and three other top AFC rivals following Monday’s penalty announcement. What fans are saying: Jets fans can purchase a shirt that says “See you later deflator” over a green and white drawing of something that is supposed to look like Brady. What the media are saying: New York Post columnists Mike Vaccaro and Steve Serby can’t agree on who takes the bigger hit. For Vaccaro, it’s Kraft. 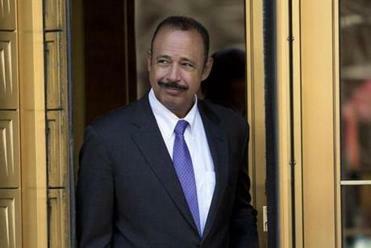 “This is the first time that after I have issued my report that I find somebody is questioning my independence, and I think that is wrong,” Wells said. “Kraft ranted Super Bowl week about how unfairly his team had been treated ... Four months later, we now know that Kraft was either a) stunningly arrogant; b) utterly misled or c) entirely unconcerned with the subterfuge that has operated on his watch for years. None of those choices reflects well on Kraft, who has gone from model boss to boss enabler in 10 short years. What the team is saying: There didn’t seem to be much gloating in Buffalo, despite the fact that the Bills will face the Brady-less Patriots in Week 2. “Not trying to justify the punishment was wrong or anything. I just want to play against the best, and week 2 I want my Defense to play Brady,” safety Aaron Williams tweeted. What the media are saying: Manish Mehta of the New York Daily News believes the Bills are now the team to beat in the AFC East with new coach Rex Ryan at the helm. What the team is saying: Before the ruling was announced, Hall of Fame coach Don Shula weighed in and took a few shots at the Patriots when discussing his own career. What the fans are saying: Kyle Munzenriedr of the Miami New Times wrote a story about Dolphins fans wondering whether Miami would take advantage of Brady’s suspension. ESPN Miami Dolphins reporter James Walker believes the pressure is on the Dolphins now. What the team is saying: Coach Chuck Pagano and linebacker D’Qwell Jackson have stated that the team has moved on and is preparing for 2015. ESPN personalities Jeff Saturday, a former Colts offensive lineman, and Bill Polian, a former executive with the team, both said the ruling was fair. What the fans are saying: There wasn’t much sympathy for the Patriots. Most seem pleased with the NFL’s ruling, while others thought the punishment wasn’t severe enough. What the media are saying: Indianapolis Star columnist Greg Doyel thought the punishment wasn’t enough. Columnist Bob Kravitz thought the decision was harsh but fair. What the team is saying: Both current and former players seemed to think Brady’s suspension was appropriate. Broncos general manager John Elway supported Goodell. “The integrity of the game is No. 1, and the commissioner obviously felt that that was compromised and did what he believed he had to do,” Elway said. What the fans are saying: Some fans actually felt sorry for the Patriots. What the media are saying: Mike Klis of 9news.com believes Brady’s legacy is forever altered. What the team is saying: Former Ravens wide receiver Travis Taylor went on a radio station in Jacksonville to discuss the punishment. What the fans are saying: Clipper71 commented on baltimoresun.com. PopeYork thought some fans were being hypocritical. What the media are saying: Finally, the NFL is apparently tired of the Patriots cheating, wrote Mike Preston of The Baltimore Sun. Joe Serpico of the baltimorewire.com wrote that Ravens fans need to get over Deflategate.